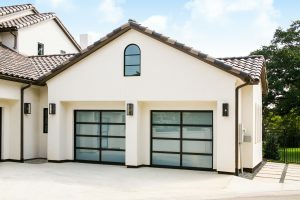 February 26, 2019 – According to the 2019 Cost vs. Value Report by Remodeling magazine and the National Association of Realtors (NAR), garage door replacements are continuing a two-year streak as the top home improvement project nationwide. The study indicates that homeowners who choose to replace their garage door this year can expect a 97.5 percent return on investment (ROI) at resale. In select markets, that number can reach as high as 124 percent. Since the first time garage door replacements were included in the Cost vs. Value Report in 2010, they have ranked among the top five projects. “Curb appeal projects help homeowners stand out from the pack. Whether it’s adding color with a custom-colored garage door or upgrading the garage door to complement the architecture of your home, garage door replacements can make a huge difference when it comes time to sell. This report has proven that time and time again,” said Sarah Schram, Brand Manager at Wayne Dalton, a premier manufacturer of residential garage doors. Nine out of the top 10 high-return projects evaluated in the 2019 Cost vs. Value Report focused on exterior upgrades to the home. The only interior upgrade to rival the average exterior home improvement project return on investment was minor kitchen remodels. This year’s report compared construction cost estimates provided by RemodelMAX, a publisher of estimating tools for remodelers, for 22 common home improvement projects in 136 markets nationwide. The average values in the report are the result of a nationwide survey of more than 3,200 real estate professionals evaluating individual project costs’ return on investment at resale. Overhead Door, a division of Overhead Door Corporation is a sponsor of the Cost vs. Value survey. In partnership with the National Association of Realtors (NAR), Hanley Wood, publisher of Remodeling magazine, asks NAR members nationwide to evaluate a variety of home remodeling jobs and the ROI homeowners could expect to receive when selling their homes. The study, available at www.costvsvalue.com, details both the national average value returned for common renovation projects, as well as the expected ROI in nine U.S. regions and 136 U.S. markets.